Think of your credit report as the explanation behind your credit score. Everything on it is suggestive, hinting towards whether you are a good or bad borrower. The credit bureaus plug these data points into an algorithmic formula to reveal your credit score. You Really Need to Understand Your Credit Report! If you care about keeping your credit rating up, then you need to be able to decipher what’s posted to your credit report. Failing to understand the information entered could be disastrous. For example, an error might show up that could be easily fixed, but it could bog down your credit score for years if it goes unnoticed. If it was an error caused by an identity thief, your credit could be in ruins for years to come. Save the stress — educate yourself now to save problems later! What Does Your Credit Report Include? The summary of your credit accounts, which serves as a general conclusion on your responsibility and worthiness as a borrower. Detailed information on your credit accounts, both open and closed, which includes your account start date, payment history, current balance, and more. The documented history of requests to pull your credit file, often by lenders processing credit card or loan applications. An inquiry may also happen when running a background check for a prospective employer. The damaging entries on your credit report might be sectioned separately; often times, these coincide with your ‘public records’. The more common types of public records to get posted on credit reports include civil judgments made against you, recently made bankruptcy claims, and unpaid tax liens. Details about you as a person — this could include your contact and mailing information, your Social Security Number, certain details on your employment, and more. Regardless of your credit-building goals, it’s essential that you know how to interpret any terms relevant to your credit report. Take a look below to get a better idea on the vocabulary that credit report bureaus typically use to describe your credit accounts. This is an umbrella term used to describe any type of financing agreement you might have. It includes everything from auto, home and student loans to credit cards, and cell phone services. This refers to the actual account number that was assigned by the original account provider. If a debt is sent to a third-party collections agency, they will use their own account number. Whenever a creditor pulls one of their debtors’ files, they are essentially performing an ‘account review’ to see where their credit stands. This is done to ensure the borrower can maintain the commitments he or she agreed upon; sometimes credit card issuers will consider new rates and/or limit increases to their loyal members after first reviewing their credit file. A simple note stating the most recent update to the respective credit account. There are many ways an account can be labeled by type, such as “I” for installment debts, “O” for a line of credit, and “R” for revolving credit. Accounts might also show by the type of financing, such as “Education” for student loans. Active and inactive accounts are viewed differently — if an account is considered active, the creditor behind it will have reported to the bureaus at least once in the past 90 days. The amount you currently owe on the respective credit account. The credit limit (for revolving), or total amount owed (for installment), although the significance of this number is considered mostly for revolving debt. For example, when you try to calculate the utilization ratio of a borrower’s credit cards. The account status lists the condition of the account, based on the information that was last reported. An incorrect account status is the most common reporting mistake of all, so pay extra attention to how all your accounts are shown. Below are the main classifications that are used when determining the current status of a credit account. Charged off, which means the account ran delinquent too long and was sold to a collections agency. Closed, which typically refers to revolving debt and means the account is no longer in use. Collection, which means the debt was charged off and is now getting reported by the receiving collections agency. Open, which suggests the account is currently in use. Paid, which is typically used when an installment debt, such as a student loan, is paid in full. Aside from these status labels, it’s typical for a further notation to be made to describe past borrowing behavior. For example, a closed account due to missed payment delinquencies will typically state how far past due the payments were before the account was closed. Your repayment activity dictates your debt rating. The rating gets determined by looking at when your payment was last due, and when you last made a payment. The industry standard is the North American Standard Account Ratings system, which is used to show how late a person is on paying off an account. The actual R-ratings are used religiously in Canadian credit reports, while the descriptive text is usually applied for American consumer files. Regardless, take a look below at the different ratings that get used to describe an account’s repayment status. R00: While the borrower was approved for financing, the account is so fresh that there is nothing to report yet. R1: The account is in good standing and payments are almost made within 30 days of when they are due. R2: The account is technically overdue, but it has yet to exceed 60 days past due. R3: The account is very overdue, exceeding 60 days but not 90 days beyond the original payment due date. R4: The account is now between 90 and 120 days past due. R5: The account is more than 120 days overdue, yet has not been charged off (R9). R6: If R6 shows, dispute the error as it not an appropriate rating term. R7: The debt is under a repayment agreement, and is currently being paid back in installments. R8: The account was closed as a result of the merchandise getting returned — whether on purpose, or as the result of a debt repossession. R9: The debt was overdue for a long enough period that it got charged off by the creditor and sent to collections, or there is no up-to-date contact information for the borrower. Note: If you file for bankruptcy and get your debts discharged, this would give your qualifying debts the R9 rating. The 90-day fraud alert. If you suspect you are the victim of credit card fraud or identity theft, you can request a 90-day fraud alert on your credit file. This is a warning to any lenders that pull your credit report, which suggests to them that they contact you before processing new credit requests. The 7-year fraud alert. If you are an identity theft victim, the extended 7-year fraud alert will get placed on your credit file. 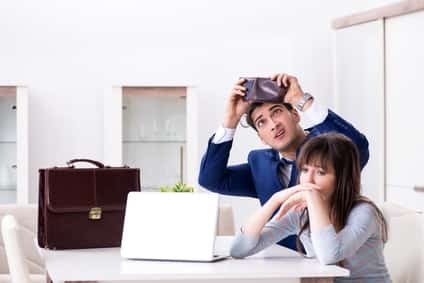 This will notify any prospective creditors of the fact that you were once victimized, which suggests that they should confirm a potential borrower’s identity and keep a close eye for suspicious activity. The active duty alert. This is a free fraud alert that lasts one year, and is offered by the credit report bureaus as a way to protect military members during deployment. The credit freeze. 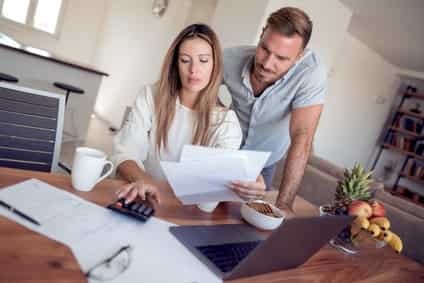 While it’s not exactly an alert, a credit freeze might be placed on your file as a way to prevent a new lender from pulling it without your prior consent to the respective bureau. The initial 90-day fraud alert is usually requested by the consumer. Once it posts in one bureau’s report, it should be reflected on the others. If only one of your reports has the alert, make sure to contact the others immediately. The same goes for the 7-year fraud alert, which is sometimes enforced (ex. After an identity theft claim), as it should show on your report from every bureau. There are many different public records that could show up on your credit report. The list below covers the three main types that exist. While each of the three can have substantial damage to your credit score, it’s important that you do not always read your report that way. Older public record entries will not hold as much wait — for most FICO score algorithms, your past two years of account activity are considered. That said, bankruptcies take as much as 10 years to age off your report and civil judgments are posted until they are paid and removed. Meanwhile, an unpaid tax lien will show up for 15 years — or, for the seven years following it’s official repayment date. There are other sections in your credit report that were not discussed here. These are not so much based on the consumer, but rather they are just generally helpful. The rights you retain as a consumer, according to your state’s laws. Further, your credit report might also come with your credit score. This is a rating given by the credit report bureau that you request your file from. The number can vary depending on the calculation algorithm used by that bureau. It’s also possible for information about you and your credit accounts to vary by agency. This means you should look at what shows on your credit report from all of the bureaus. 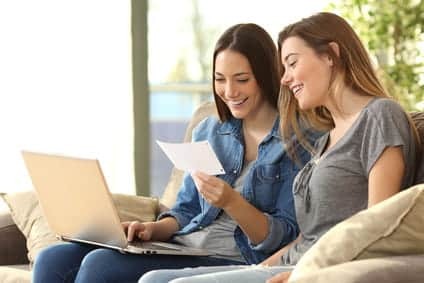 If you do not plan to invest in credit monitoring, you can still pick up a free credit report from each of the three bureaus through AnnualCreditReport.com to see if there are any errors. What If You Find Errors on Your Report? You have the right to dispute any errors to your credit report, regardless of how minor or major they might seem. If you are proven correct, the mistake will get corrected — if the error was done with malicious intent, the entry will be cleared completely. This means that, as an example, a debt reported to a ‘scheming’ collections agency could get wiped clean if the company tries to report it for significantly more than the original balance. Reporting errors on your credit file is a great idea — it could even boost your credit score dramatically — but you must do it the right way. Make sure to file an error dispute with each Equifax, Experian, and TransUnion. Once processed, your credit report will get updated and your credit score will be recalculated. It typically takes a few months for the changes to reflect. In previous years, disputes were just handled by mail and sensitive information was transmitted as a result. You will be happy to know that it’s now possible to upload your documents and process the error dispute over the Internet. 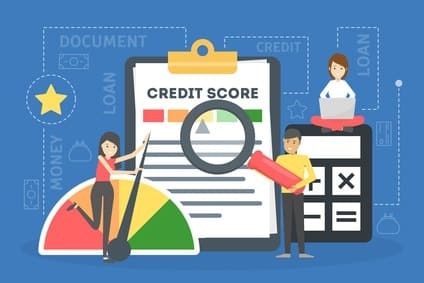 A recent FTC study suggested that 1 in 250 consumers have credit report errors resulting in a FICO score shortage of 100 points or more. You might not be deserving of credit card rejections, mortgage denials, and shoddy interest rates. It’s wholly possible that you are a better borrow than you let on. Do not let ignorance get in the way of great credit; at the very least, read over your credit report twice per year to check for any reporting mistakes. Even if it’s not about raising your credit rating, you should still monitor your credit report for identity fraud. With an estimated 12.7 million Americans being victimized by identity theft in 2014 alone, one should never assume they are safe. By knowing how to read over your credit report to understand what your actions cause in the eyes of the credit bureaus, you will stand a much better chance to protect yourself. If you have any questions, just post in the comments below and we will help you out! 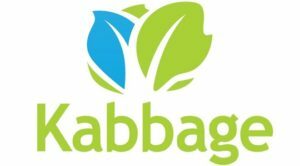 Which Credit Report Should I Get? What Scores Do Lenders Use?